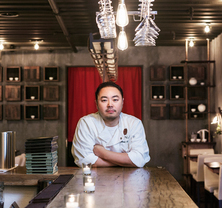 Hooni Kim is the chef/owner of Hanjan and Danji. Koreatown might be a mainstay in New York City dining (and we’re happy to have it). 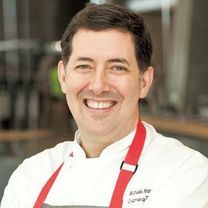 But even while we get our fill of rice, noodle, and barbecue staples, chefs like him are quietly leading a revolution, bringing Korean food to a higher plane on American culinary shores with bold flavors and an emphasis on the quality of ingredients. Ever had traditional Vietnamese steamed rice crepe? "Really good new Vietnamese restaurant in Sunset Park. Very clean flavors with little to no MSG. Good beefy broth and high quality meats. Definitely will be back to try more of the menu. The bahn xeo and steamed rice crepe were both excellent as well. Bun bo hue 👍👍. #pho60"
"When your neighborhood omakase is this good and affordable you miss Japan a little bit less! #$75 #warmshari"
"Great red curry here. The rice noodles are amazing as well. My #bunbohue"
"Hanjan’s aged kimchi jjigae is back on the menu. This month’s kimchi was made in May so it’s been fermenting for 6 whole months. Thanks for the awesome pic @#ingredientsmatter"
"Late night snack. Korean fried chicken. #양념치킨"
"Late lunch. This is jjamppong bap! Spicy seafood soup served with rice. Excellent Korean-Chinese food here. #을지로3가"
Fried rice with king crab roe. "Fried rice made with King crab roe. #볶음밥"
"Amazing homemade naengmyun with brown rice noodles. Texture was better than buckckwheat. Broth was clean and smooth as silk. #koreanfood"
"So excited to come back to @#koreanfood"